Looking for some inspiration or motivation? Look no further; here is the weight loss success story and testimonial of Emma (one of our amazing DIY HCG customers). "My journey with HCG began on June 13th. I have wrestled with weight loss my entire life. The over-weight certainly contributed to my diagnosis of diabetes 20 years ago. 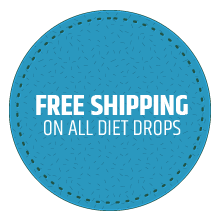 Since then it has been a never ending string of diet attempts — to no avail — until now. On June 13th I weighed 229. Today, with my "friend" HCG from DIY, I am a proud grandmother of eight who weighs 204 pounds!!!!! I have been able to reduce all of my medications for diabetes and hypertension to about half of what I took prior to losing the 25 pounds. I have more energy now at 25 pounds less of me to play with my grandchildren (even though I was a little short on energy during Phase 2 I am back to better than ever now). I have friends who are now anxious to help themselves with the DIYHCG drops as well. I'm so very happy with the entire process. I have been in Phase 3 now for a week. I am now re-introducing some proteins and fruits and vegetables that I was missing a (just a little!). And, my weight is staying right where phase two ended!!! It's like a miracle to me. Thank you from the bottom of my heart. I am looking forward to round two starting in two short weeks." 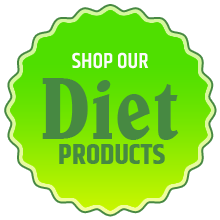 Did you know that we offer products designed specifically for the HCG Diet Protocol on our sister site, DIYDietStore.com. The best HCG Diet Guide there is; the Weight Loss Cure Guide by Linda Prinster contains loads of valuable easy-to-read information. This book includes charts to record your progress during the diet and a food index to let you know what you can or cannot eat during the 500 calorie phase, maintenance phase and life beyond the diet. 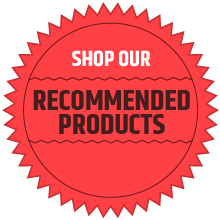 We also carry delicious dressings, sauces and seasonings as well as recipe books for the low calorie phase, the 101 Worry-Free Diet Recipes Book and the maintenance phase, the Over 201 Worry Free HCG Maintenance Recipes Book. To save time in food preparation, check out our perfectly portioned meats and seafood.